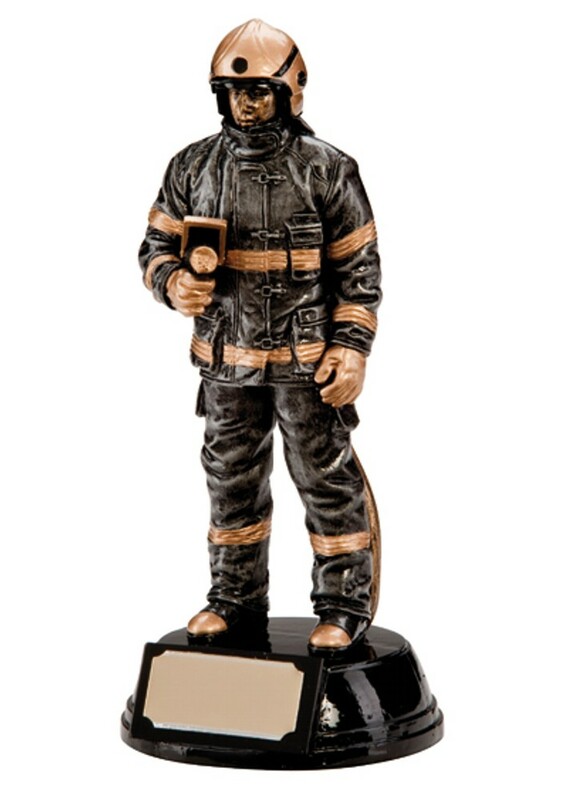 Motion Extreme Resin Fire Fighter/Fireman Trophies. This amazingly detailed award measures 190mm high. Antique silver with gold highlights on a black resin base.